Want to see how JoomlaLMS really works? 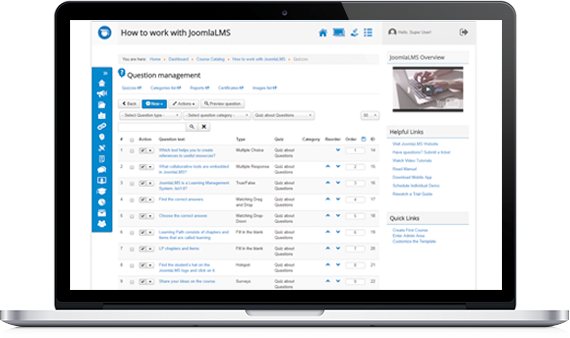 Schedule a live demonstration with one of our JoomlaLMS representatives. It’s free. As practice shows, a 45-min Demo with an LMS Expert is much more valuable than a self-directed 30-day Learning Management System trial. Please complete the form and one of our representatives will provide a guided tour and answer all your questions about JoomlaLMS Learning Management Software!